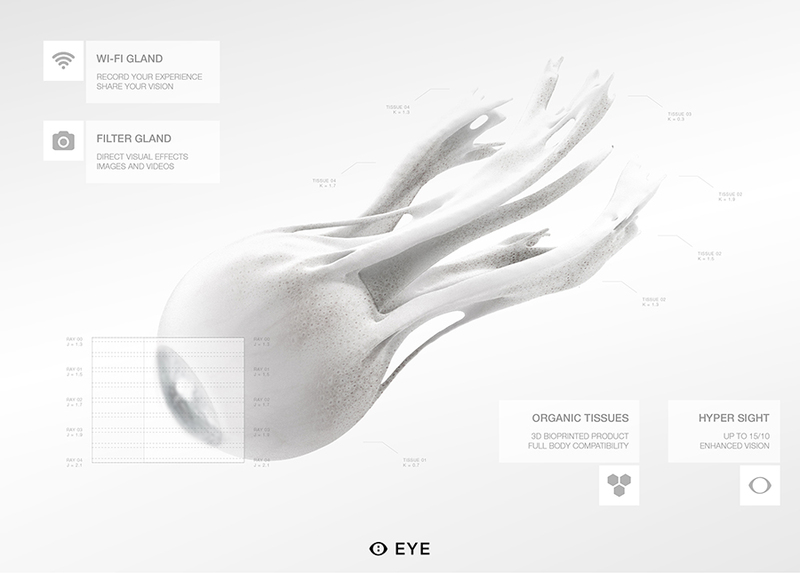 Synthetic eyeballs are possible in the near future thanks to 3D printing. While 3D bioprinting was already able to produce tissues for kidneys, nose, skin and bones, researchers find developing the technology to make 3D printed eyes elusive. However, a company from Italy called MHOX has proposed an idea for synthetic eyeballs that can be produced by using 3D printer. To make this synthetic eyeball more interesting, it comes with a wide variety of functions thus making this innovation close to what we call bionic or superhuman eyes. The project stems from the idea of augmenting what the human sense of sight cannot do thus increasing the functionality of the eye. MHOX is planning to release different models of the bioprinted eye called EYE which is an acronym for Enhance Your Eye. The three models include EYE Heal, EYE Advance and EYE Enhance. The first concept aims to help cure blindness and any types of diseases to the eyes while the EYE Advance is basically a bionic eye that comes with a small Wi-Fi modem that allows users to upload filtered videos to the cloud. Lastly, the EYE Enhance will allow the owners to improve their vision. It also comes with different filters to improve the sight of the wearer. Lead designer Filippo Nasetti noted that it is high time for the superhuman 3D printed eye to be developed. While this innovation is very promising, there is a catch. You need to have your own eyes surgically removed so that the bionic eye can be inserted onto the socket. While this is a scary thought, researchers are still developing a way to use the bionic eye without resorting to the surgical removal of the real eyes.